South Austin chiropractor Dr. Steven Klayman offers more than 30 years of chiropractic and holistic healing success at Klayman Holistic Chiropractic Clinic on Highway 290 West. The basic elements to a successful outcome are based on the practitioner’s skill level, experience, confidence and a good relationship between doctor and patient. At our practice, you’ll get the best of all worlds, leading to the restoration of your well-being. Along with the chiropractic diagnostic tests and procedures, Dr. Klayman is skilled in and may integrate kinesiology, orthopedic, blood and simple saliva tests to arrive at a diagnosis. Because much of the nervous system is housed in the spinal column, numerous conditions will respond favorably when spinal subluxations (misalignments) are corrected and nerve interference leading to other areas of the body is alleviated. 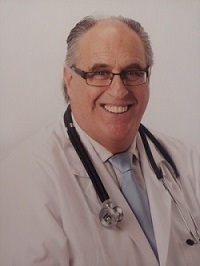 Dr. Klayman employs numerous methodologies to treat his patients. He utilizes the Total Body Modification Technique (TBM) amongst others such as Activator, S.O.T., Palmer Package, Gonstead, Cox Flexion Distraction, Diversified, Nimmo, Toggle Recoil, Physiotherapy, etc. Contact our office to make an appointment and see what sets us apart from other chiropractors South Austin! If there is not a good rapport between the doctor and patient the likelihood of a favorable outcome is diminished. It is not just the skill of the doctor but also the consciousness and the empathy that the doctor has for the patient that is important. Holistic Chiropractic Care and Massage Therapy for South Austin, Oak Hill and Dripping Springs. Thanks for the immediate improvement. Looking forward to getting even better! Dr. Klayman is truly amazing! He alleviated my neck pain in only a few visits. He is skilled on treating many different conditions. I have the utmost confidence in his healing ability. Tried other treatments for vertigo with little success. Dr. Klayman had me feeling great after two treatments. Absolutely fantastic!